Join with a Beauty CEO Kit Today! It only takes 26 seconds for your personal care products to enter your bloodstream. What's in Yours??? 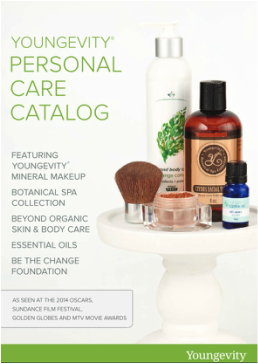 Order your own Mineral Make-Up! You can check out the products with no purchase required! Click 'join' to get an automatic 30% discount! the coverage is wonderful - for all skin types, shades, and ages! Color match the foundations - even if it means a mix of two colors - and get your perfect custom match! 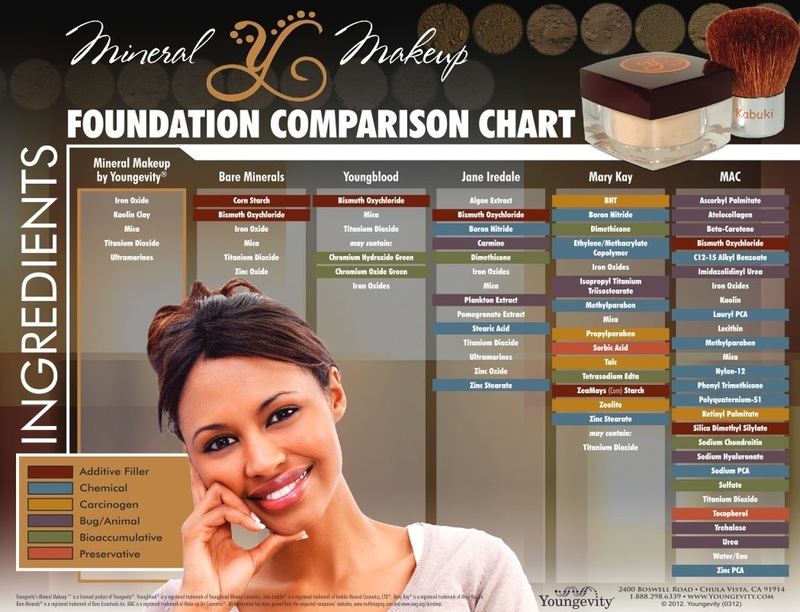 With Youngevity® Mineral Makeup, the perception of your complexion will be natural perfection! Nourish your skin from the outside by using make-up that is healthy rather than toxic! Protect your skin from the elements by allowing the minerals to work as all natural sun protection. Your skin is not an impenetrable barrier; toxins can be absorbed and make their way into the bloodstream in as little as 26 seconds! If you're not using Youngevity Mineral Make-Up - do you know what's in your make-up?? How about this?! Not only do we have an INCREDIBLE range of foundation colors - the right shade for EVERY woman ... but if the direct shades offered aren't PERFECT for you, at no extra cost you can have a custom blend of two colors made so it IS perfect. AND - to determine your exact shade, you can either meet with me in person for a color match, or order a $10 foundation tower in your shade range to test. Once you know what shade you need, you can order your exact shade, with a $10 credit from ordering the tower! And -- if you order and you're not 100% happy with your shade, then you can take advantage of our 30 day money back guarantee. You can't go wrong!!! Youngevity Mineral Make-Up is making waves! !